By 1962, the US Navy had 26 nuclear submarines operational and 30 under construction. Nuclear power had revolutionised the Navy. After the Skate-class vessels, reactor development proceeded and in the USA a single series of standardised designs was built by both Westinghouse and GE, one reactor powering each vessel. Rolls Royce built similar units for Royal Navy submarines and then developed the design further to the PWR-2. The Oyashio is a class of Japanese diesel-electric submarine operated by the JMSDF. The submarines entered service in the late 1990s. The submarines are larger than the earlier Harushio class submarines, to make room for a flank sonar array. USS Mobile Bay (CG-53) is a Ticonderoga class guided-missile cruiser serving in the United States Navy. She is named for the naval Battle of Mobile Bay during the American Civil War in 1864. After commissioning, Mobile Bay joined the U.S. Atlantic Fleet, arriving at her Mayport, Florida, homeport in March 1987. USS Princeton (CG-59) is a Ticonderoga-class guided missile cruiser serving in the United States Navy. Armed with naval guns and anti-air, anti-surface, and anti-submarine missiles, plus other weapons, she is equipped for surface-to-air, surface-to-surface, and anti-submarine warfare. The Liaoning (16), is the first aircraft carrier commissioned into the People's Liberation Army Navy Surface Force. It is classified as a training ship, intended to allow the Navy to practice with carrier usage. USS Enterprise (CVN-65), formerly CVA(N)-65, is a retired US Navy aircraft carrier. 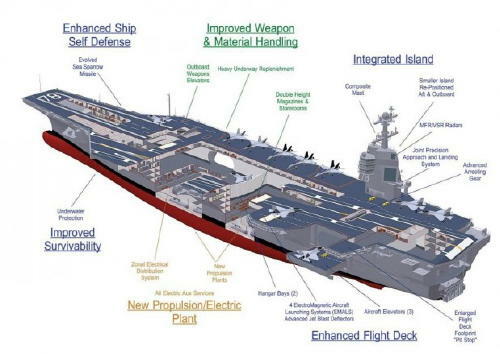 She was the world's first nuclear-powered aircraft carrier and the eighth United States naval vessel to bear the name.